[SatNews] Intelsat General Corp. and L-3 Communication Systems-West (L-3 CS-West) have successfully demonstrated the new U.S. Air Force Protected Tactical Waveform technology over Ku-band transponders on the Intelsat fleet. The demonstrations and performance characterization were conducted at the Intelsat teleport in Ellenwood, Georgia, during the week of March 4th. Engineers conducting the tests measured the performance of anti-jam modems and waveform technology from L-3 CS-West on a Ku-band satellite emulator and over the Galaxy 18 satellite, built by SSL and launched in 2008. The tests, observed by a representative from the Air Force Space and Missile Systems Center, demonstrated full-duplex voice, video and IP data via the Air Force’s new Protected Tactical Waveform (PTW). L-3 CS-West is currently working under an Air Force contract, performing studies and developing proof-of-concept modem and security designs using PTW. PTW is designed to provide affordable, anti-jam SATCOM capabilities over existing satellites, leveraging commercial, off-the-shelf technologies. The testing and transmissions over an existing Intelsat Ku-band satellite validate the compatibility of the PTW with commercial space assets. They also pave the way for future affordable upgrades to provide anti-jam protection to existing Ku-band systems, such as Army, Navy and Air Force remotely piloted aircraft. 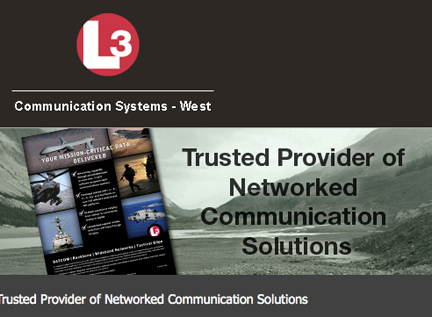 L-3 CS-West provided PTW terminal and hub modems to support the end-to-end tests. 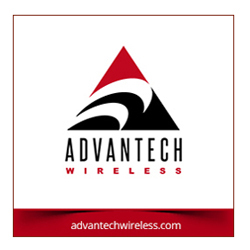 The modem technology supports processing bandwidths up to 2GHz and data rates from 10kbps up to 300Mbps. Following the successful demonstration, Intelsat and L-3 CS-West plan to further analyze the potential capabilities of the PTW on Intelsat EpicNG satellites over the next year. The companies expect to conduct additional demonstrations on the Intelsat EpicNG platform in 2015.